Formatting a hard drive can be an important process to go through in certain situations. Maybe it’s time to install a brand new hard drive or you want a fresh start for any of your current hard drives. No matter what reasons you have, formatting is essential for preparing a hard drive to be used and can help you detect errors too. In terms of data security, it’s important to note that formatting is not the same thing as wiping the hard drive completely. If you’re interested in erasing all the contents without worrying about someone still being able to access your data, then check out our How to Wipe a Hard Drive article. Another aspect that you need to be aware of regarding formatting hard drives is that it can take quite some time to complete the process. Make sure you have a few hours to get this task done, especially if your computer’s not very fast. 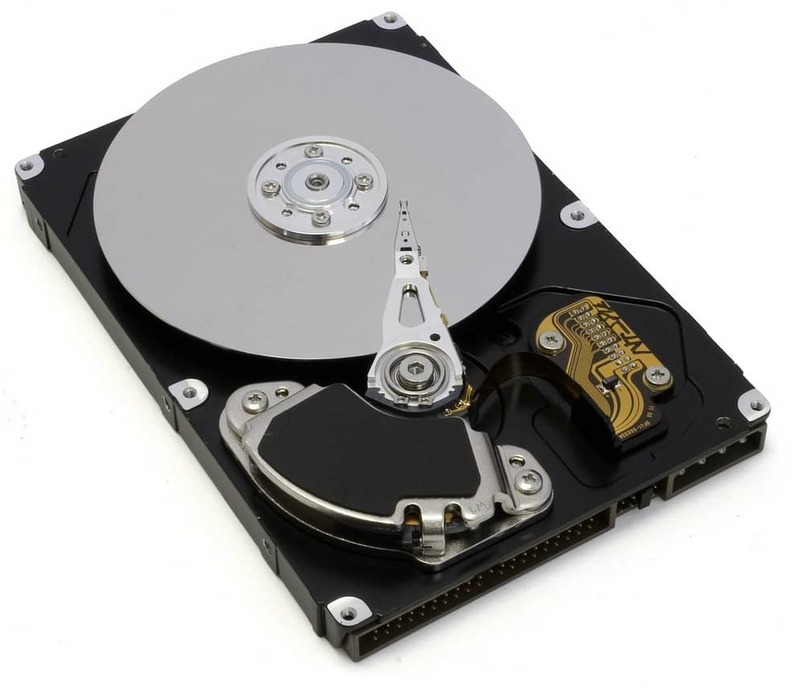 Although this article focuses on conventional hard drives, solid-state drives can also be easily formatted using the same process. An important thing to add is that formatting hard drives for a clean Windows installation is unnecessary as this is automatically done in the process. Before starting the following steps, double-check that your personal files on that drive have been backed up. This guide is available for Windows 10 or older versions up to Windows XP. This is a built-in tool from Windows that can easily handle this task. It can both format and partition any of your drives, except for the one containing Windows. There’s a slightly more complicated process for formatting the C drive as you will have to be outside of Windows. This tool is focused on portioning and formatting of all the other hard drives you have connected. As always, finding a Windows application is quicker by simply searching for it in the search box of the Start menu. Alternatively, to open Disk Management you can use the Power User menu by pressing both Windows key and X at the same time. This works only for Windows 10 and 8. In Disk Management there’s a whole list of the currently connected disk drives. Drives that are not partitioned come with an ‘Unallocated’ label whereas partitioned ones have a drive letter. You can also more easily distinguish between them by looking at the color of the bars they appear with. Black bars mean the drive is unpartitioned and blue bars represent partitioned drives. In this list, you will have to find the drive that needs to be formatted. In case the drive you wish to select is not found on the list or a window appears telling you to initialize the disk, then the drive needs to be partitioned. In that case, let’s check out the steps required to do that. This depends on whether the hard drive has a capacity larger than 2TB or not. Go with GPT partition style if it’s a 2TB drive or larger and MBR style in case it’s smaller than 2TB. Click ‘Next’. Volume and partition are interchangeable terms. From now on, you simply follow the instructions of the Wizard window that appeared. There’s also the possibility to create a single section for the whole drive. To do that just ensure that the value from ‘Maximum disk space in MB’ is identical to the one in ‘Simple volume size in MB’. As this small guide focuses on just partitioning, we’ll continue with the formatting process later. For now, you just need to finish partitioning. The partitioning process doesn’t take very long. Now your drive is ready to be formatted. It’s important to remember that you are about to format the drive now, so be careful to select the correct hard drive as everything on it will be deleted. Stopping the formatting process is not a good idea as it can complicate many things, so once you start the process, there’s no turning back. By default, Windows will add the volume label ‘New Volume’. It’s recommended to insert a new name in the Volume label textbox to make everything more organized. Unless you definitely know what you’re doing and are required to use another file system, leave this option on NTFS. It’s considered the best file system. Leave this on to its default value. Extra customization is usually not required so don’t worry about this. Now it’s time to select the way you want the hard drive formatted. The default option is to perform a quick format which is considerably faster, but not as effective. It can create problems in the long-term as it skips the bad sector search which is an important process. Therefore, it’s strongly recommended to go with the full format option even though it takes longer to complete. If you’re really serious about formatting your hard drive and want to do a complete job, choose this option. You will receive some warnings about data being deleted which is completely normal. Click ‘OK’ and move on. Once the process has started there’s a status field for monitoring the progress. A full format can take quite a long time, but it does depend on factors like drive capacity and computer speed. When the counter reaches 100%, the process is finished. The status will also change to ‘Healthy’ to let you know that everything went well. The drive is now formatted and can be used for anything you were planning to. 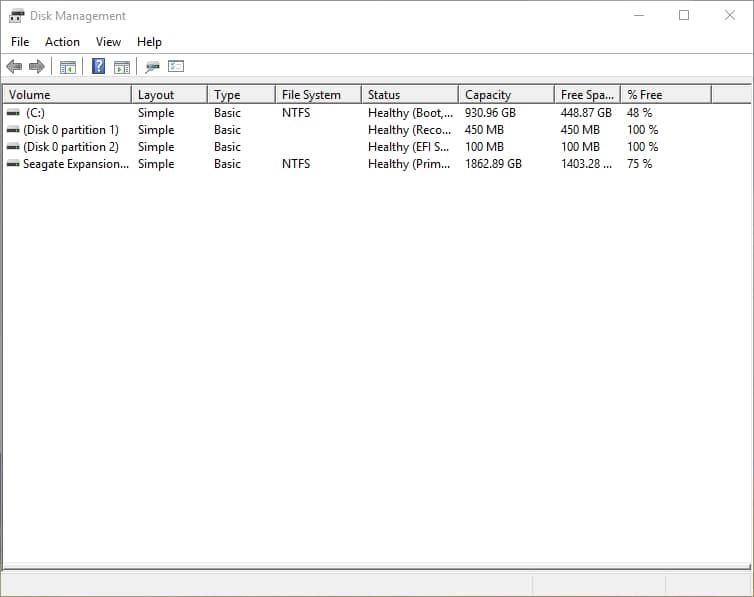 If you have multiple partitions, make sure they all go through this process individually. All the extra drives need to be formatted.